The focus of this design is elegant performance. 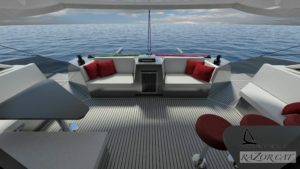 An offshore capable multihull which is easily controlled and operated by one person from the safety and comfort of a central inside helm station, featuring 360 degree views throughout the bridge deck. All lines (with the exception of the genoa/spinnaker sheets) lead to two electric reversible winches located either side of the helm. 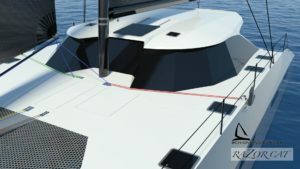 The genoa/ spinnaker sheets are handled by the two electric reversible winches in the cockpit (that can also be controlled remotely at the helm). Couples that have spent time cruising know how critical it is to be able to handle the boat easily while on watch without having to wake your partner, this is not possible on most current catamaran designs. 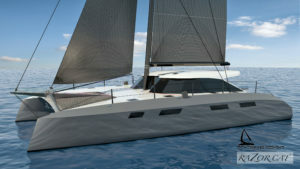 A properly designed and constructed catamaran can be a very fast, but only if it remains light and easily driven. This design has relatively narrow hulls with dagger boards, along with simple powerful rig. 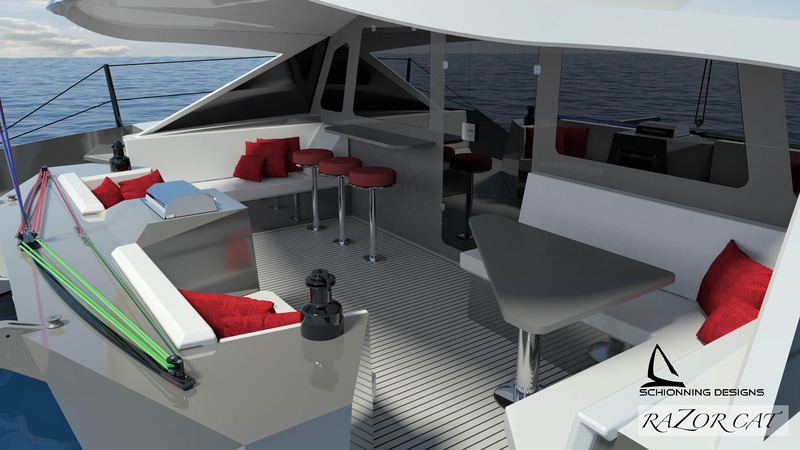 The high bridge deck clearance minimizes pounding in a seaway and greatly adds to the comfortable motion aboard while sailing. All systems are designed to be easily accessed and maintained, a critical feature on any true cruising sailboat. The bridge deck offers indoor/outdoor living at its finest, with excellent sight lines while seated and standing, both in the salon as well as on the aft deck. While the inside helm is the control center of the boat, the large U-shaped galley is the heart of the boat and is located on the bridge deck across from the dinette with easy access to the aft deck. The galley features a bar, under counter fridge/freezer drawers, a large sink, a proper stove with oven, along with substantial counter space and storage. The accommodations in each hull are configured to provide a generous aft cabin with a queen berth that is easy to get into from the foot of the berth, along with ample storage. Moving forward is a single midship berth (which makes an excellent sea berth or provides additional storage when not needed). 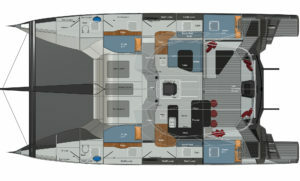 Next is a large forward head compartment with separate shower stall. On the occasion you have additional guests the dinette also converts to a spacious double berth. 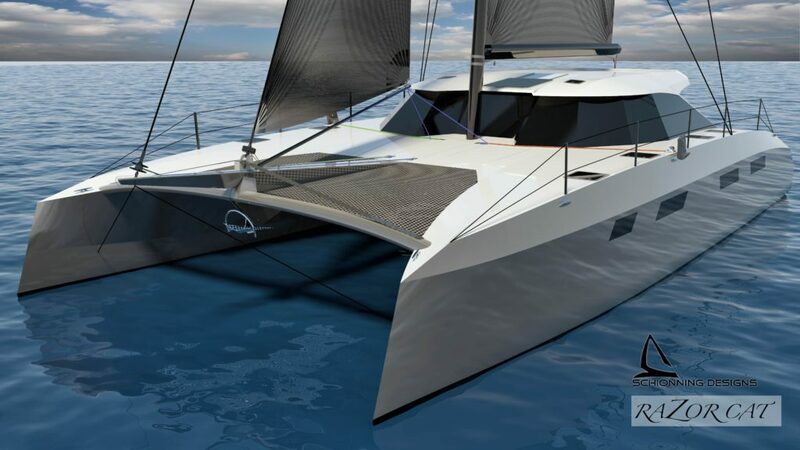 The market has seen an ever increasing demand for catamarans, particularly among sailors who have previously owned cruising monohulls. 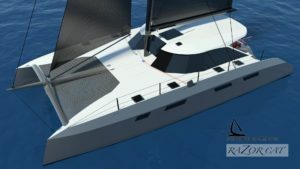 These buyers are looking for a catamaran that is well built offering: speed, comfort, and safety that is easy to handle while remaining a joy to sail. 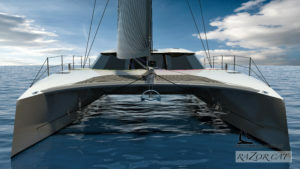 They also want a design that allows them to enjoy indoor/outdoor living (while underway and at anchor) in a way that is not possible on a traditional monohull. However, most catamarans on the market are designed and built for the charter market, which focuses on maximizing the number of berths and interior accommodations without concern of the adverse effects it has on sailing performance. 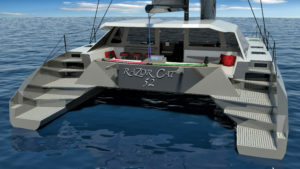 The Razor Cat focuses on what experienced sailors are looking for in a performance cruising catamaran. “The Razor Cat is a combination of my personal experience cruising on my own performance offshore catamaran, as well as my 15+ years experience in the yacht sales industry listening to what my clients have been searching for in a cruising catamaran. I am excited to be working with such a talented team to bring the Razor Cat to life. 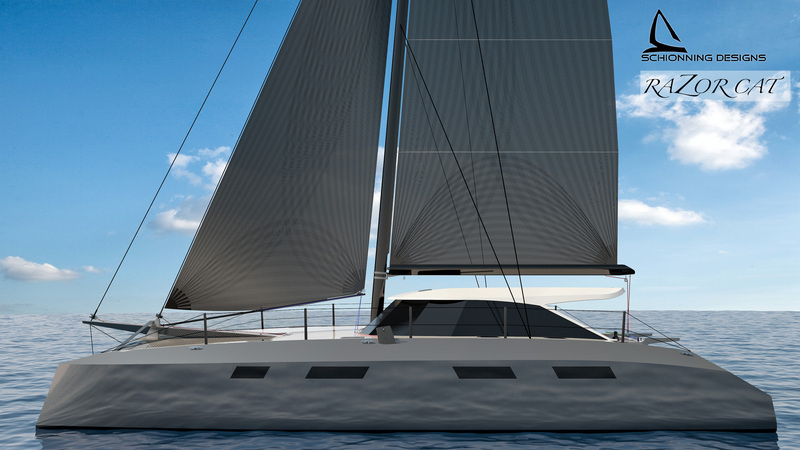 Schionning Designs has been designing performance multihulls for over 25 years and have a long track record of successful designs. 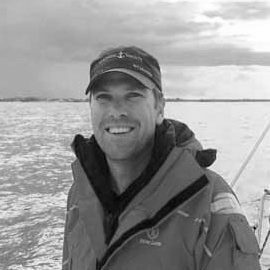 Pacific Seacraft has earned a reputation as a highly skilled United States builder of ocean going sailing yachts, proudly located in Washington, North Carolina. 6. 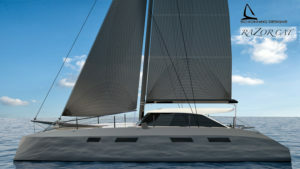 Power electric line driver for mainsail traveler, controls at helm as well as each aft winch. Traveler can also be controlled by aft winches if needed as a manual back up.